Since 2013 Scott Sports has been keeping us warm, making us look smart and helping us search for the perfect tele turn. We now offer people the chance to experience some of the best telemark Skiing kit combined with some top level telemark coaching. We're very proud to represent Scott Sports as Telemark Ambassadors and excited to offer our clients cutting edge NTN boots and bindings on Scott Skis. Tele Tracks are offering 7 night trips in the Autumn in Tignes, we've paired up with our favourite apartment agency in Tignes and Scott Sports to make it all so easy for you. Travel light, and don't pay ski carriage charges, we've got your telemark kit covered! Find out more about our accommodation, and coaching packages, Autumn telemark courses in Tignes. Throughout the winter you'll also be able to test the kit, so leave your skis, boots and poles at home, travel light and cheap and let us kit you out when you get into town. You'll need to book at least 7 days in advance. 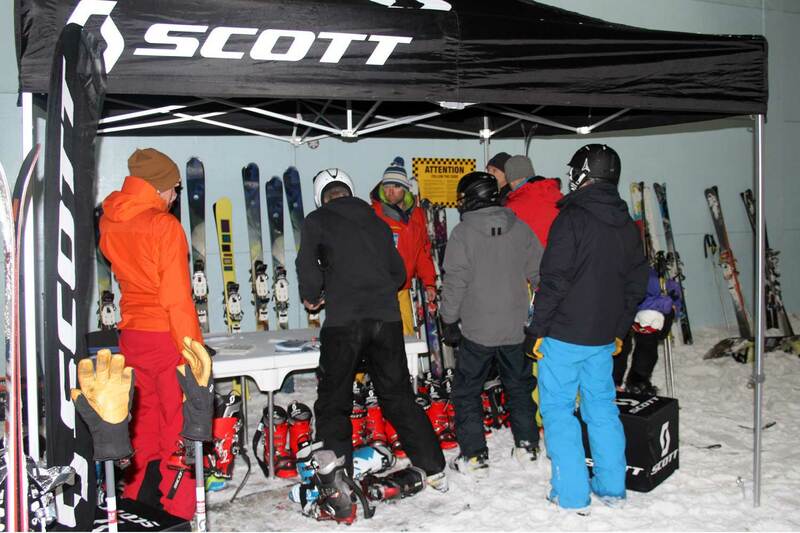 Book your Scott NTN Test kit in Val d'Isere. If you're planning to ski in Tignes, you'll be able to test the kit on a 6 day basis, and bookings must be made at least 7 days in advance. 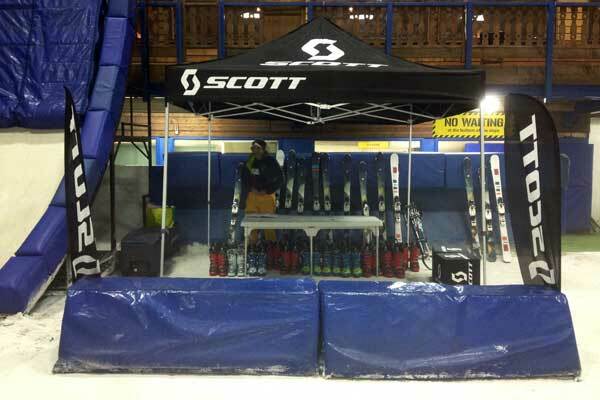 Book your Scott NTN test kit in Tignes. We have a stock of Scott Voodoo and Minerva NTN Boots ranging in size from 24 to 29. The Voodoo is Scott’s beefiest men’s telemark model with an even flex distribution and excellent lateral, torsional and cuff stiffness. The Minerva is stocked in the smaller sizes which is Scott’s women’s freeride telemark boot. All boots are fitted with Superfeet footbeds. Easier, smoother and stronger, the New Telemark Norm Binding (NTN) has redefined and reenergised Telemark skiing all over the World. The NTN Freeride is a binding for telemark and freeride skiing. It gives the skier unparalleled edge control, lateral stability and ease of use. It also offers the simplicity and security, especially off piste, of an alpine binding without sacrificing the freedom of the heels. We also have some of Scott's multi award winning 'The Ski's, along with the Black Magic, the Surf Air and the Reverse. Tele Tracks are proud to be working with Scott and Rottefella to bring you this unique opportunity to test and rent a full NTN set up in the Espace Killy which is arguably one of the finest ski areas in the world and offers every conceivable telemark challenge available.